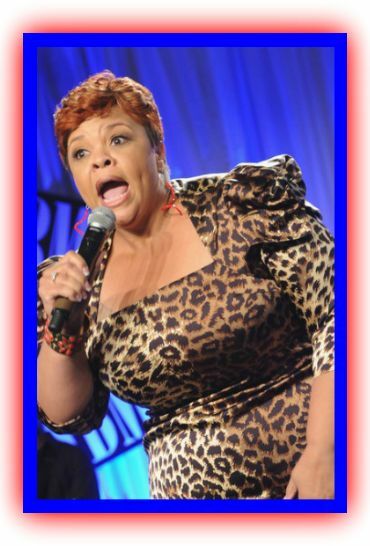 (source) the burton wire Tamela Mann performs at McDonald's seventh annual Inspiration Celebration Gospel Tour. 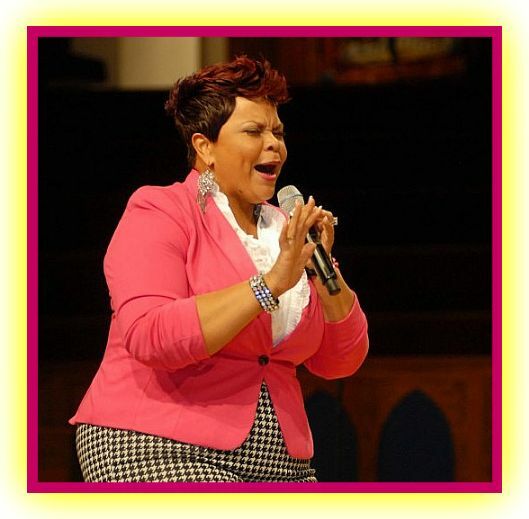 As Tamela Mann sits down with SoulTrain.com and does an interview with Mr. Joe Walker, I believe the best advice she gave was being "confident in your FAITH." I was watching the television this morning and I saw a black woman anchor on the 6:00 morning news. Now, this woman anchor actually comes on every weekday morning to highlight stories around my community. But this particular morning she had a special guest to come into the newsroom and it was a black man and the main reason he was there was to give information about some upcoming shows he would be performing in and to also show us some of his line dance moves. Here in Louisiana, particularly New Orleans, line dancing is very popular. Line dancing kind of reminds you of a two step, it's pretty much, made of eight count movements. So, during the short interview in which the woman anchor interviewed this man, you could kind of tell the anchor woman was nervous. She was fumbling a little over her words and she was kind of going back and forth with her questions, you know it really wasn't a smooth transition from one thing to the next. The man I believe was from New Orleans and I say that, because he had an accent. He wore his hair in dreads and he had on nice looking clothing, but it wasn't a suit and tie. Normally, the anchor woman does a really good job on delivering the news and she speaks very well, but when she was speaking with this man she just didn't seem herself. It's kind like she was trying to speak on his level, but she was still trying to maintain her professionalism all at the same time. And I believe if she would have just stuck with who she normally is on the news, then she would not have been fumbling her words, and the interview would have went much smoother than what it did. The question I asked myself was, why did this woman feel like she had to be one way with this man and be another way for her job. I understand there is a fine line between being professional and being your normally self and sometimes we have to adjust ourselves in certain situations, but this woman was in the same working environment and acting two different ways. I mean of course she has to act professional at her job, because she is on live television, but you could tell her demeanor was really fake with the man she was interviewing. It was like she did a 180 degree turn. I understand what Tamela Mann means when she says "Some people are embarrassed, because they're not sure in their walk." It doesn't matter if you work around majority black or white people we should always remain true to ourselves and God. People are always watching you and they know when things are put on or fake to please another person. If you remain true to who God created you to be you won't fumble, God will prepare you for everything, and most importantly you are staying true to yourself. Now, I'm saying this woman was trying to be fake, but that's what it came across as. As a Christian I want people to see me for who I am. I don't want them to think I am wearing a mask at the grocery store and wearing my Sunday best at church. I just want people to see the God in me at all times. And it's a struggle, but I know through Christ "All things are possible." Not everyone is confident about expressing their faith. You ever notice how, when people pray in restaurants, they tend to look around to see who's watching? It's almost like they're embarrassed. I've seen that before. I think some people are embarrassed, because they're not sure in their walk. It's a learning process. Maybe they're young and they don't know yet you don't have to be ashamed. Everybody else is out in the forefront for what they represent, so why can't we be out in the forefront for what we represent? You learn and you do better as you learn. Tamela do you put your faith in everything you do? My faith in God is the reason I'm here. It's no business of my own, no merit of my own; I give all praise and credit back to God! I never want to get to the place where I'm so high and mighty I feel like I did it all, because I know I didn't do it all. Millions of people have watched you act on stage and the big screen. Your professional life involves being these roles. How, in real life, do you prevent yourself from becoming a character, still portraying who you are instead of acting out what people know from you? Well, the thing about me acting as Cora, the personality and the person are one and the same. I really don't have to separate the two on how they were established and built. That part is not put on. When I did the movie Sparkle the character was different from me. So whatever situation is going on, you have to put yourself in it. 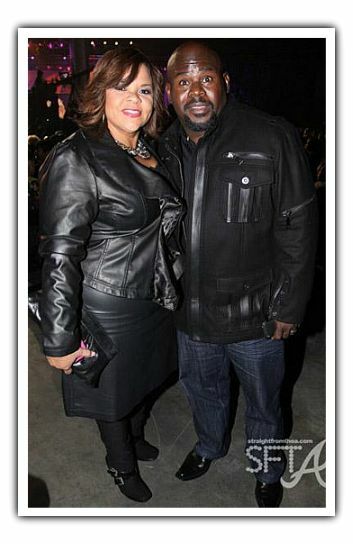 Visit Joe Walker at SoulTrain.com to read more of his interview with Tamela Mann. And Jesus answered them, "Have faith in God. Truly, I say to you, whoever says to this mountain, "Be taken up and thrown into the sea," and does not doubt in his heart, but believes what he says will come to pass it will be done for him. Therefore I tell you, whatever you ask for in prayer, believe that you have received it, and it will be yours.